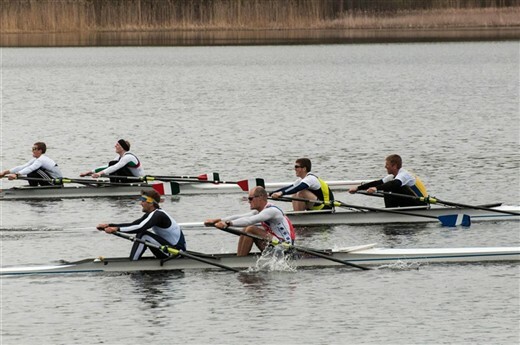 National trials in Stockholm with 6 races in total. Heats and finals in the 1x and two finals in the 2x and 4x respectivly. It went fairly good. I finshed 3rd in the 1x final after a strong finish, 2sec behind Emil Freundental of Mölndal and 0.5 sec behind Pontus Gustavsson from Höganäs. In the two 2x finals, I finished 2nd together with Pontus and first together with Anders Backeus. The two 4x finals equaled two wins together with Anders, Pontus and Dennis Gustavsson.